A land slip has closed Bond Lane at the Mountsorrel end of the road (near to Stonehurst Farm). 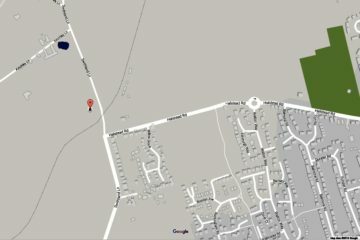 If you are planning to join the train at Mountsorrel Station on Bond Lane, you will need to access Bond Lane from its western end via its junction with Swithland Lane. Please avoid parking along Halstead Road so as not to disturb our neighbours. 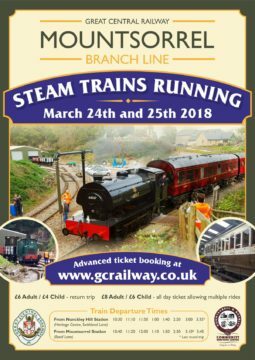 The Great Central Railway will be running steam trains along the Mountsorrel Railway over the weekend of March 24th & 25th. This is the first time steam passenger trains have run since the opening of the line back in 2015 and it is the only confirmed steam weekend for this year, so don’t miss it! Trains are running along the branch line only, there is no through running from GCR main line stations. Steam locomotive J94 68067 is expected to be operating in “top-and-tail” formation with a diesel locomotive at the opposite end. At the heritage centre there will be shunting demonstrations in the sidings, the garden railway will be running and a BBQ up at the Shack. We’ll also be opening the extension to our Spinney Trail, which climbs up to the highest point of the site. £8 Adult / £6 Child – all day ticket allowing multiple rides; this gives visitors the opportunity to explore the Heritage Centre and nature trail at Nunckley Hill (only assistance dogs are permitted here). Advance online booking is strongly recommended as capacity is limited and we are anticipating a lot of interest in the event. Tickets are not available from GCR booking offices at Loughborough, Quorn, Rothley or Leicester. If you wish to purchase tickets on the day please bring cash as cards will not be accepted; please purchase your ticket via a Ticket Inspector onboard the trains. 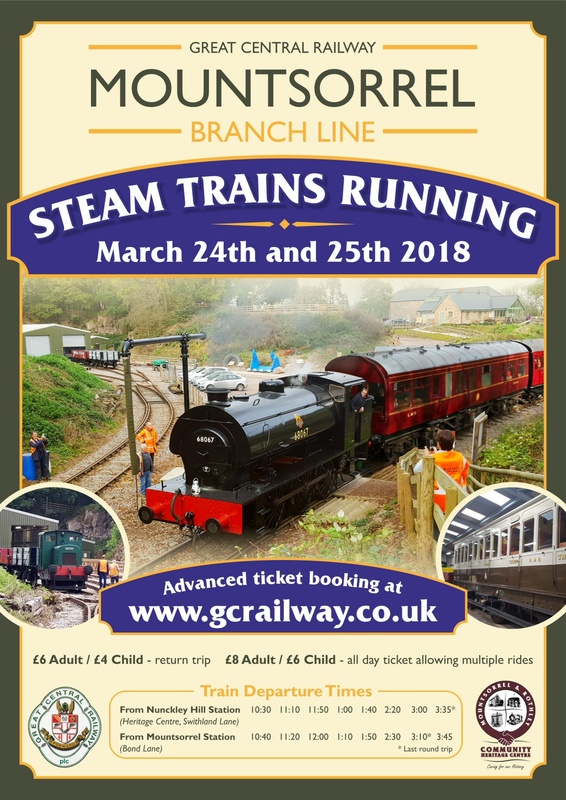 Further details and a timetable for the weekend is available on the GCR Website. The GCR successfully ran the test train along the line on the 9th March. A short video of the test train has been posted on Facebook.